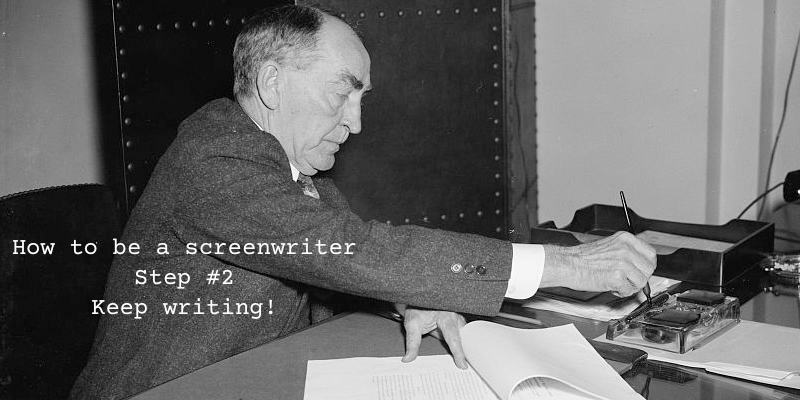 Before you start writing your screenplay, think of who your market is. It’s not the movie-going public, but the producers, studios, and actors who can all decide if they think your screenplay will help them out. After James Cameron came out with “Avatar,” there were no undoubtedly hundreds of scripts with similar ideas and themes that took place on exotic alien planets. While there’s nothing wrong with creating a science fiction script, stop and think first. The only reason James Cameron could get his movie made was because he’s James Cameron with a track record of producing blockbusters. For that reason, studios are willing to bet up to $100 million or more on a James Cameron movie because they know there’s a high chance they’ll get it back. Will studios want to spend $100 million on an unknown writer’s script? Maybe, but remember that even George Lucas had trouble getting money to make “Star Wars.” If your story requires expensive special effects, exotic locations that require shipping a whole film crew to another part of the world, or historical settings that require costumes, vehicles, and buildings to be made to look authentic, it’s going to be tougher to sell your script because of budget considerations. The reality is that if your movie threatens to cost a lot of money to get made, its chances of getting made shrink dramatically. That’s the reason most high-budget films today are either based on books, remakes of movies or TV shows, comic books, or cartoons because this insures a built-in audience. Rather than try to create the next high-budget movie, start simple. What would a producer say when considering your movie’s budget? If it costs too much to make, then studios will shy away from making it. That’s the reason why horror/slasher films are so popular because they simply take an existing setting with fake blood and that’s it. The actors are inexpensive to hire, the sets are just any existing building, and the special effects are minimal and easily handled with buckets of fake blood and weapons. Thinking like a producer can help you see your movie from a budgetary point of view. The cheaper it is to make your movie, the more likely it will be made, regardless of the quality (think of all those horror/slasher films). Now take a look at your movie from an actor’s point of view. Every actor is looking for a script that can showcase his or her talents, and that means crating an interesting character. Nobody wants to play a boring character, but everyone wants to play a larger than life character. Look at your script and ask yourself if your hero and villain are larger than life characters. If not, then you’ll have a hard time getting an actor excited about your script. 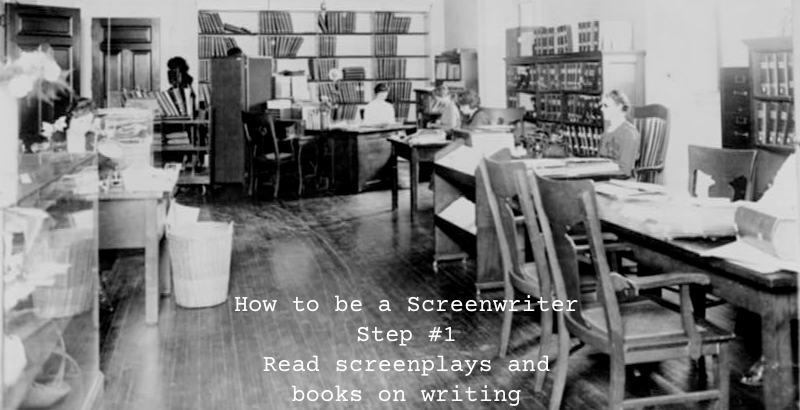 Make your characters larger than life and compelling, and an A-list actor might shove your script through a studio just because he or she wants to play the lead role. 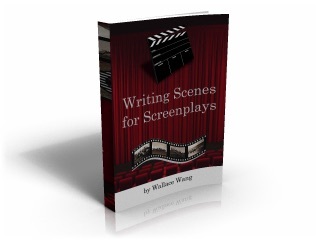 The main point is to look at your screenplay from a business point of view. Can it be made inexpensively? Great, you’ve made the studios happy. Does it offer an interesting role to play? Great, you’ve made potential actors (who can help green light a script) happy. Make producers and actors happy and they may buy your script and turn it into a movie, and that will just make you happy as well. Many people watch movies to study the craft of screenwriting, but don’t forget the really old movies too like all those silent black and white films that can teach you the value of dialogue. A huge tyrannosaurus rex appears over the treetops. Watch out, Bob! There’s a huge tyrannosaurus tex appearing over the treetops! Bob and Mary sit inside a five-star gourmet restaurant. Bob, as you know, we’ve been married for ten years. I know, Mary. I still remember falling in love with you the first time we met at Martin Smith High School where we both graduated in 1995. In real-life, people don’t speak in such stilted language where the only purpose is to provide exposition to the audience. Dialogue also isn’t real life dialogue, but the illusion of real-life dialogue. However, before you get too involved in dialogue, try this experiment. Watch any old black and white silent movie and notice how much of the story you can follow without hearing any dialogue at all. Then notice that dialogue only appears when it’s impossible to convey this same information visually. That’s what you want to strive for in your screenplay. Tell your story visually as much as possible, and eliminate as much dialogue as possible. Then only use dialogue when absolutely necessary. In old silent films, dialogue has to be used sparingly because no one wants to read dialogue on the screen. However in today’s films, dialogue must also be used sparingly because no one wants to hear actors say something that could have been told more visually if the screenwriter had simply focused on telling a story in pictures. If your story relies on dialogue, think about writing a play. If you can tell your story in pictures, then you have a better chance of writing a better screenplay. It’s easy to create a story. The hard part is making your story last for 90 – 120 minutes. The secret isn’t to stretch a single story out but to mix and match multiple stories. 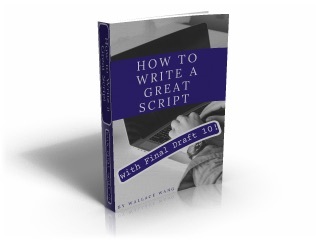 Many screenwriting books tell you that you need to define your hero’s goal to plot your story. That’s fine, but a movie is more than just the hero’s goal. Consider “E.T.” If you just focus on the hero (Elliot, the little boy who befriends E.T.) then your story is relatively simple and short. First, Elliot finds E.T. Then he hides E.T. Then he rescues E.T. Finally, he helps E.T. back home. That’s a pretty clear structure, but if that’s all you focus on, you’ll run out of ideas about page 40 and be stuck for what to do next. At this point, you may be tempted to add in meaningless scenes just to pad your screenplay, but such meaningless scenes also bog down your story and make it far less interesting. Here’s what you need to do instead. Pick your main characters starting with your hero, villain, and hero’s main supporting character. In “E.T.” the hero is Elliot, the main supporting character is E.T., and the villain are the adults who are trying to threaten and capture E.T. First, E.T. has to hide and find shelter. Second, E.T. has to make friends with Elliot if he is to have any chance of surviving. Third, E.T. has to contact his friends. Finally, E.T. has to get back to his saucer. Combine Elliot’s story with E.T.’s story and can you see how their separate stories work like strands of a rope to build something stronger? By defining and combining multiple stories, you no longer have characters who pop up just to advance the plot or get in the way for no apparent reason at all. Now look at your story from the villain’s point of view. First, the adults are trying to capture E.T. but they lose him. Second, the adults are threaten to expose E.T. Third, the adults capture E.T. Fourth, the adults lose E.T. Combine your hero’s story with your supporting character’s story with your villain’s story, and now you have three separate stories that work together to tell a single unified story. Trying to stretch your hero’s story into a full-length movie is impossible. Mixing three separate stories together means when you run out of steam telling one story, you can switch to another story and tell that story until you switch to your third story and tell that one for a while. The trick is that each story must be interdependent. You can’t have three completely separate stories because nobody will know what they’re watching. This would be like going to a theater and trying to watch a play, a three-ring circus, and a wrestling match at the same time. The way to make each story interdependent is to have the characters of each story meet and clash. In “Star Wars,” we see Darth Vader and Princess Leia fighting. Then we see Luke all by himself, but then his story gets wrapped up in Princess Leia’s story when he gets R2D2 and C3PO. Later, Luke gets caught up in Darth Vader’s story when Hans Solo flies to the planet that the Death Star destroyed and the Death St0ar captures all of them. By looking at your story not as a single story, but as three separate intertwined stories, you can make your single story stronger and you avoid the risk of a story that runs out of ideas too soon. Plus your interdependent stories make your single story more interesting as well. Every good movie tells multiple stories. Every bad movie typically only tells the hero’s story. 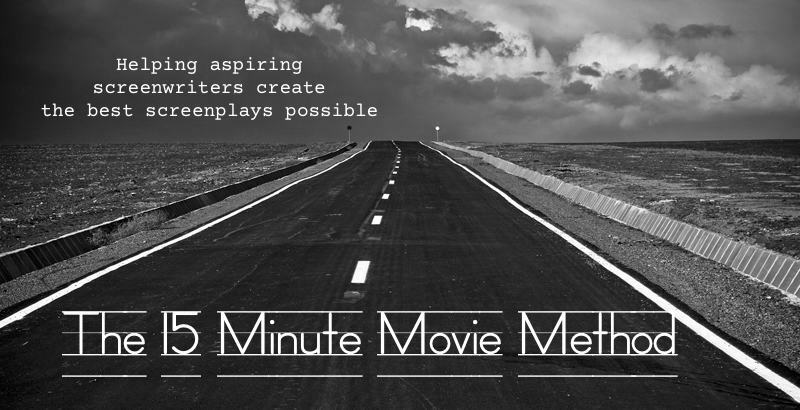 Which type of movie do you want to create? Some superhero movies can be surprisingly good (“The Dark Knight”) while others are astoundingly bad (“Elektra”). When a superhero movies does well, watch out for the sequel though because they tend to pile on the heroes and villains as if more were better when it turns out that more is actually less. A movie like “Ironman” did surprisingly well even attracting the non-comic book crowd. However, where most sequels go wrong, especially superhero sequels, is that they tend to add more heroes and more villains until there isn’t enough time to develop any of them. The result is a diluted story where multiple characters vie for screen time and nothing comes to a very satisfactory conclusion. In the first “Ironman,” there was plenty of action and character development in Tony Stark and his assistant Pepper. Plus there were two villains to watch. Given the full two hours, that was plenty of time to get to know all the heroes and villains, and watch them develop and change. Now look at “Ironman 2.” There are still two villains, Justin Hammer, a rival defense contractor, and a Russian physicist who goes by the name of Whiplash. Unfortunately, Whiplash isn’t developed much as a character. We get a brief background that Whiplash’s father once worked for Tony Stark’s dad and got deported to Russia. Then Whiplash builds a primitive suit similar to Ironman’s but with two energy whips. After creating this energized whips, Whiplash then proceeds to start chopping up race cars, including one that Tony Stark is driving. While visually interesting, it’s also meaningless. Why is Whiplash randomly chopping up cars? What does he hope to accomplish? He doesn’t even know that Tony Stark is driving in the race, so it’s not like he did this just to kill Tony Stark. As a result, this whole fight scene is dull, meaningless, and empty. The worse part of “Ironman 2” is the sudden introduction of multiple heroes, none of whom change over the course of the story. When only your hero changes and none of your supporting characters change, that’s a problem because now the supporting characters only seem to pop up to help the hero and then disappear again. First, there’s Tony Stark’s friend who climbs into one of Tony Stark’s armored suits and takes off with it. Now he’s called War Machine, but we don’t really get to know this character, other than that he’s a friend of Tony Stark. What does he want that’s similar to Tony? Tony is facing his own mortality and the idea that he’s slowly dying every day. War Machine has no similar crisis, so the screenwriter missed a great opportunity to hammer home the theme a little more. Instead, we’re left with a friend who fights Tony Stark to keep him from embarrassing himself at a party. Even this fight is relatively short and dull with no sense of a goal. War Machine wants to stop Tony Stark and Tony Stark wants to just flail around and fight War Machine. Dull, boring, and another lifeless battle scene. Where “Ironman 2” really goes too far is with the introduction of Nick Fury (a guy with an eye patch) and Scarlett Johanssen, a woman sent to spy on Tony Star. Neither Nick Fury or Scarlett Johanssen have any goals other than to advance the plot, and they don’t change either. They don’t come across as real people with real problems. Because they don’t change or have any problems, they’re meaningless props to advance the plot. Of course with so many heroes running around, there’s little time to dig into the main heroes of the film. Tony Stark discovers a new element to save his life, but he gets that revelation by studying an old design created by his father. Of course, his father is long dead and seen only on film, but he’s another hero who only exists to advance the plot and do nothing more. When Tony Stark hears his dad (on film) tell him that Tony was his greatest creation, it somehow misses any emotional impact it was shooting for because we don’t see how much Tony might have fought or hated his father. Since we don’t have much knowledge of how Tony feels about his father, we don’t feel much elation that his father treasured Tony’s existence. The final battle scene is a bit dull. The villain programs a bunch of drones to attack Ironman. Being chased and outnumbered by the drones, Ironman has to flee, and to ratchet up the stakes, the villain has reprogrammed War Machine’s armored suit to fight Ironman as well. This has all the makings of an interesting battle until Scarlett Johanssen breaks into the plant where the villain is hiding and reprograms War Machine’s suit so he can help Ironman. Dull! Boring! Boo! Besides the fact that Scarlett Johanssen’s character doesn’t change and shows little emotion, her very existence takes away precious screen time from the other heroes. Having a secondary character solve a major problem takes away the spotlight from the hero. At all times, the hero should be the one solving his major problems. Imagine if near the end of “Die Hard,” Bruce Willis is about to take out a terrorist when an FBI agent drops in, shoots the terrorist, and saves Bruce Willis’s life. That would be unsatisfactory because we want to see the hero fight and solve the problem, not get outside help from somebody else. Having War Machine forced to battle Ironman is interesting. Having an outsider solve this problem for Ironman deflates the expectations that this confrontation sets up. Even worse, once War Machine and Ironman are together, the drones surround them. Now that they’re outnumbered, it looks like an exciting battle scene, but no, Ironman spins around and chops all the drones in half. Naturally, we’ve never seen Ironman do this type of attack before so it comes out of nowhere to save them from the drones. Huh? Just as the battle has begun, it’s over. No tension, no suspense, no excitement. Another promising battle scene cut short and made lifeless. Finally, Whiplash shows up again and battles Ironman and War Machine. Then Ironman and War Machine combine forces and blow Whiplash apart. Once more, a promising battle scene eliminates all tension, suspense, and action in favor of a quick and unsatisfying resolution. Boring! If you watch these two films, you can see how well “Ironman” creates tension and suspense and how poorly “Ironman 2” does this, which makes “Ironman 2” the weaker movie. The lesson is clear. When writing your story, don’t pile on the heroes and villains as if more were better. More is less. Focus on your heroes and your villains and rather than add more of them, give us more of what you already have. Let us dig deep into knowing your hero and villain. This depth will go a long way towards creating a more satisfying story in the end than just relentlessly piling on more heroes and villains for us to cheer or boo. Your villain’s goal needs to threaten the hero and the hero’s loved ones. Not only does this ratchet up the suspense, but it also makes us want to cheer the hero even more. In any good story, the focus isn’t just on the hero’s actions but also on the villain’s actions. Flipping back-and-forth between the hero’s actions and the villain’s actions lets the audience see how your hero and villain are slowly being drawn closer to their inevitable confrontation. Initially, we’re in the dark about the villain’s goals but as the story progresses, we gradually learn what the villain wants. On the other hand, we clearly see what the hero wants, but we have no idea how the hero will achieve her goals. Gradually as the story progresses, we see how the hero can achieve her goal. The villain’s physical goal provides the structure for the hero to achieve her emotional goal. In “Star Wars,” Darth Vader’s goal of crushing the rebel alliance gives Luke the opportunity of leaving his dead-end life and have an adventure. In “Die Hard,” the terrorists’ goal of taking over the building gives Bruce Willis the structure for learning that he does love his wife and needs to get back with her. In “WALL-E,” the Buy N Large corporation’s goal of keeping the human race away from Earth allows WALL-E to find love with Eve. Your villain has a definite goal. The only reason why the hero wants to stop the villain is because if the villain achieves his goal, that goal will create some Horrible Consequences that directly affects the hero’s loved ones. The simplest type of Horrible Consequence is that the villain will kill the hero. In “TheTerminator,” if the freedom fighter from the future fails to protect Linda Hamilton, she’ll die. That by itself is bad enough, but the villain’s goal will also hurt the hero’s loved ones. In Linda Hamilton’s case, this is the whole human race plus her unborn child. In “Star Wars,” Darth Vader may kill Luke, but even worse is that Darth Vader will also blow up the planet with Princess Leia on it and wipe out the entire rebel alliance at the same time. In most cases, the villain’s goal won’t kill the hero, but will wreck the hero’s life forever. In “Quiz Show,” the hero has a choice: lie and maintain his reputation, or tell the truth and not only wreck his reputation, but his famous father’s reputation at the same time. In “Mary Poppins,” if Mary Poppins doesn’t succeed in bringing the family together, not only will the children be unhappy, but their father will be unhappy as well. The villain’s goal always affects the hero and the hero’s loved ones for double the danger. This dual problem greatly amplifies the consequences if the hero should lose, and makes us really want the hero to win and squirm at the thought that the villain might succeed, and that’s the emotion you want your audience to feel. 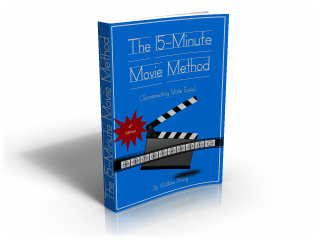 Rather than try to write a coherent story divided into three monolithic acts, break your story into eight separate 15-minute segments. Then link them together where the ending of one segment opens the beginning of the next segment. If you break your big story into eight separate 15-minute segments, you’ll be able to focus on creating eight separate mini-stories that collectively tell one big story. The big danger is that you’ll wind up creating eight separate stories with no connection between any of them. To avoid this problem, you need to link each segment like Alice stepping through the looking glass. When Alice was in her normal world, she stepped through the mirror, which represented the end of one segment and the beginning of the next segment when she popped out of the other side. That’s the mirror link you need between all your eight segments to tie them together. In “WALL-E,” the first segment is WALL-E’s typical day moving garbage around. In this segment we learn about the Buy N Large corporation’s existence, see WALL-E’s cockroach friend, see WALL-E scrounging around the garbage playing with a fire extinguisher, and then discovering a plant. WALL-E’s day ends with a sandstorm where he hides in a metal shed with his precious collection including a videotape of two people holding hands. We learn WALL-E’s problem (he’s alone) and his need (to find love). Watching the videotape shows that WALL-E needs love, and the next segment that love interest appears in the form of Eve. On one side of the mirror, WALL-E is looking for love and when he crosses through from segment 1 to segment 2, he finds the object of his love. Segment 2 is about WALL-E wooing Eve and he nearly gets there when he invites Eve to hide in his metal shed. Then she discovers his plant, grabs it, and shuts down so WALL-E’s left trying to revive her. That’s the end of segment 2 with WALL-E constantly failing to revive Eve. As WALL-E tries to revive Eve, the other side of the mirror occurs when the rocketship comes back to retrieve Eve and WALL-E frantically grabs on to it before it can take off. This drags WALL-E into segment 3 where he gets to explore the new world of the luxury spaceliners where all of humanity is living. WALL-E’s trip through from Earth to his arrival on the spaceships represents segment 3, and this segment ends when WALL-E finally reaches Eve once more, thereby succeeding in his goal of getting back to Eve. Eve realizes that WALL-E needs to go back to EArth so she tries to send him back in an escape pod, but that’s when they discover that the villain, Auto, the evil computer, is planning to send the plant in the escape pod to blow it up. WALL-E rescues the plant and escapes from the self-destructing escape pod to dance with Eve. The link between segment 1 and 2 is WALL-E’s desire to revive Eve, which drags him into segment 2. The link between segment 2 and 3 is WALL-E trying to contact Eve again, which he does. The link between segment 3 and 4 is Eve trying to send WALL-E back to Earth, thereby foiling WALL-E’s attempt at love. Each segment is linked to the previous one by some action that kick starts the next segment off again. Just think of Alice stepping through the looking glass. On each side of the mirror is a segment of your story. You need to find that link between each segment so your story flows smoothly from segment to segment rather than jumping awkwardly from one segment to the next. On each side of Alice’s mirror is a different world. This mirror analogy can help you keep your story segments linked together so they flow naturally and seamlessly, which is why they’re so easy to overlook when watching a great movie. Think of any story’s villain and you think of someone frightening like Hannibal Lecter from “Silence of the Lambs” or Darth Vader from “Star Wars.” But the secret to making a frightening villain isn’t necessarily sheer power or insanity, but by mirroring the hero. What’s the most frightening villain you can think of? It might be a monster like Godzilla or a robotic killing machine like the Terminator. However, what really makes a villain terrifying is how close that villain is really like the hero. The hero’s biggest challenge isn’t fighting some outside creature, but fighting himself. Ultimately, there’s nothing more frightening to anyone than facing up to their own flaws. Most people would rather battle a wild grizzly bear than sit on a couch and examine their own lives, and that’s what makes the best villain for your story. Your hero is someone with a flaw. Your villain is someone nearly identical to your hero, but without that flaw that’s holding the hero back. What’s more frightening? A total stranger breaking into your house, trying to kill you, or your ex-spouse breaking into your house, trying to kill you? Obviously it’s the ex-spouse because it’s someone you know. Therefore, the more you make your villain like your hero, the more terrifying the problem for your hero. Your hero isn’t facing a monster, but himself. First, picture what your hero’s goal might be. Now multiply that picture a million times, pus a selfish twist to it, and that’s the goal your villain wants. In “Ironman,” Tony Stark is a callous weapon designer. Only later do we realize that Tony’s enemy is actually a friend of his father and someone Tony trusts who wants to take over Stark Industries and push Tony out of the company by having him killed by militants. That’s the villain’s goal that sets the story off, but we don’t know it at the beginning. In every story, the villain’s quest starts the story off, but we don’t have all the pieces at the time to fully understand what’s going on. In “Witness,” the corrupt cops are already pursuing their plan of killing other people to hide their own corruption. In “The Terminator,” the robots have already tried wiping out most of humanity and sent a robot from the future to kill the mother of humanity’s resistance leader. In “The Incredibles,” the villain is already a super powerful character who tries to be Mr. Incredible’s sidekick before later turning into a super villain. In all three of these examples, the hero and the villain are nearly the same type of person. In “Witness,” the villains are ruthless cops who will use violence to solve their problems. Harrison Ford is exactly like that, but he learns the peaceful ways of the Amish, which helps him defeat the villains. In “The Terminator,” the villain is a ruthless killing machine, but the hero is a ruthless human who will never stop either. The difference is that the hero finds love, which the Terminator doesn’t. In “The Incredibles,” the villain is a super villain while Mr. Incredible is a superhero. Unlike the super villain, Mr. Incredible learns humility and the importance of working together, not as a loner all the time. Your hero is basically fighting a twisted, darker version of himself, and that’s what makes your villain so terrifying. Your villain loses because he never changes. Your hero wins because he does learn to change. Every story demands conflict and nothing creates conflict better than someone fighting against himself. Your hero is fighting his character flaw which is an internal conflict. Then your hero is fighting against your villain, which is an external conflict. The external conflict is easy to spot because it’s something we can all see, but the internal conflict is more interesting because it’s not so obvious. Whenever you’re stuck for what your villain might do next, think of what your hero would do next if he were totally selfish and evil. That automatically tells you what your villain would do. Audiences might not realize that your hero is fighting against a darker version of himself, but that’s what provides the missing power behind most stories. If your hero isn’t fighting against an evil version of himself, your conflict might not seem unified and whole. Make your hero fight against an evil version of himself, and suddenly your conflict seems sharper, although you may not know why, but it’s because of this subtle internal struggle made visible through your villain. Your villain is your hero’s greatest nemesis because your villain essentially is your hero. 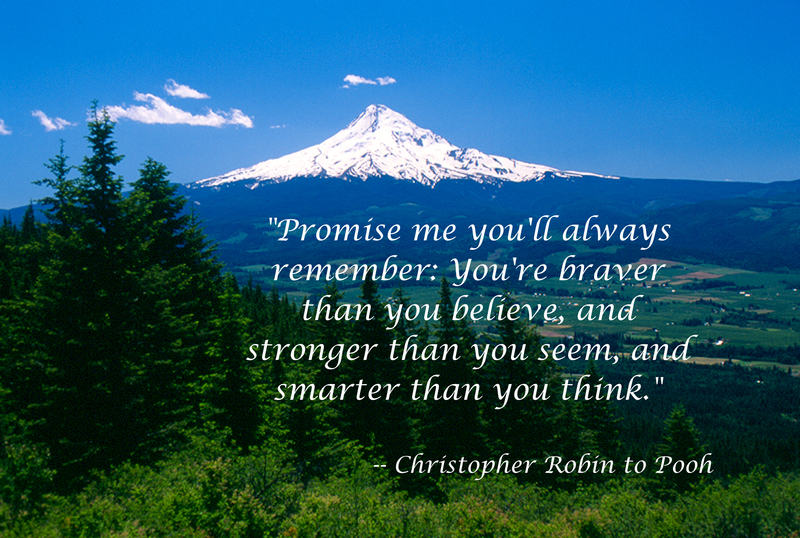 Make sure your hero and villain are nearly identical and your story will seem stronger as a result. There are four phases of every story. First, the hero has a problem and a goal. Second, the hero achieves initial success. Third, the hero experiences setbacks. Fourth, the hero faces a confrontation. Hulu, YouTube Movies, and Crackle are three movie sites that typically offer B-grade films, but occasionally they offer older feature movies worth seeing. At the time of this writing, Hulu is offering “The Ladykillers,” a remake of an older film of the same name. The latest version of “The Ladykillers” was written by the Coen Brothers (“Fargo” and “Raising Arizona”) while starring Tom Hanks. If you watch this film, you can clearly see how this movie divides the entire story into four parts where each part has a goal that leads into the next part. Now take your own screenplay or your favorite movie and see how it fits into this four-part story structure. If you examine a good story, you’ll see that the story flows naturally from one part to the next where each part is a mini-story in itself that concludes with a fixed goal. Think of each part as four mini-goals leading up to the final goal. By breaking a big story into four parts (and later into eight parts), you’ll find it’s much easier to structure and write your story than trying to write a monolithic story of 120 pages right from the start. What makes a movie capable of still being entertaining despite the passage of time? Classics such as “Citizen Kane” and “It’s a Wonderful Life” are still memorable to this day, yet other popular movies from the past seem dated and laughable. The answer lies in its story structure. One thing I love about sites such as Crackle, Hulu, and YouTube Movies is that they provide free access to movies that you can study. The drawback is that most of the free movies offered on these sites are utterly forgettable, but the advantage is that occasionally you can see a good movie that these sites offer temporarily. If you keep visiting these sites, you can watch some great movies for free.One movie that I never saw during its initial release was the 1981 comedy “Stripes” with Bill Murray. I remember everyone raving about it, so I watched it recently on Crackle and found it dull and lacking. To me, it wasn’t very well structured because there’s no real villain guiding the story from the start. Initially, the problem is that Bill Murray is stuck in a dead end life and decides to join the Army. However, the beginning of the movie never hints at the conflict at the end, which involves Bill Murray trying to rescue his fellow soldiers from a Russian military base. Think of “Top Gun” where the opening scene is a fight between F-14 Tomcats and a new MiG fighter jet. Then the ending of the movie is an enhanced version of these same planes dogfighting. The conflict at the end was set up by the smaller conflict at the beginning. In “Stripes,” the only conflict in the beginning was between Bill Murray and his girlfriend so there’s no hint of what the final conflict will be at the end. The obstacles in “Stripes” initially are the drill sergeant and an incompetent captain. Bill Murray meets two female MPs along with some other people like John Candy, but none of these supporting characters have any goals of their own. They just exist for Bill Murray to advance the plot further along. As a result, “Stripes” felt like a sloppily made story. Now consider the 1954 classic, “On the Waterfront.” Right from the start, Marlon Brando is involved in a conflict between the Mob and his own conscience as he accidentally helps kill someone with the Mob’s help. This beginning foreshadows the conflict at the end when Marlon Brando fights the Mob boss. The supporting characters in “On the Waterfront” also have goals of their own. There’s a priest who is determined to make a stand and help the longshoremen, and there’s the first victim’s pretty sister, who Marlon Brando likes. The goals of the supporting cast dovetail nicely at the end with Marlon Brando finally faces the villain. Due to Marlon Brando’s actions, the supporting characters also achieve their goals too. Despite being made over 50 years ago, “On the Waterfront” is still a compelling story while “Stripes” is not. Of course, “Stripes” made a lot of money while lesser known, but better structured movies, have faltered at the box office, so you have no control over anything other than trying to make the best story possible, and that’s all that really matters. If you’re looking to make a lot of money, you have the wrong goal. You should be looking to tell an interesting story, and hopefully Hollywood will turn your script into a box office sensation. A flashback is meant to move a story forward by going back to the past. If this sounds like a contradiction of terms, that partially explains why flashbacks are so dangerous to use. When used poorly, flashbacks bring your story to a screeching halt. So how do you use flashbacks correctly? The worst example of flashbacks I’ve ever seen was a movie called “Ghost Story.” The movie was based on one of the most terrifying novels I’d ever read by Peter Straub. When I read “Ghost Story,” I remember my palms were sweating so much that they smeared the ink on the cover of the book. So when I saw the film version of “Ghost Story,” I couldn’t believe how badly the film version sucked. The biggest problem in the film version of “Ghost Story was its use of a flashback. First, the story starts out with all the main characters as old men. Just as you get involved in their lives, the movie flashes back to when all of these main characters were young men. Just as you get used to these young characters, the movie suddenly drops you back into the present so now you don’t feel connected to either the young or old versions of the heroes. To see how to use flashbacks correctly, watch “Casablanca” or “The Terminator.” In “Casablanca,” there’s actually a huge flashback scene where we see Humphrey Bogart initially as a cynical, bitter man. As we gradually learn, Humphrey Bogart is bitter because of his past affair with Ingrid Bergman. If the movie never used a flashback, we wouldn’t directly experience the pain of separation and feeling of betrayal that Humphrey Bogart felt when Ingrid Bergman refuses to leave with him. How can we experience and understand Humphrey Bogart’s cynicism and bitterness without experiencing the event that set him off? We can’t, and that’s why the flashback in “Casablanca” works. In the 1984 “The Terminator,” we also see several flashbacks. There are two reasons for the use of flashbacks in this movie. First of all, if the hero (Kyle) simply told us that he’s from the future, we would doubt his sanity. However, by showing us a flashback, we experience Kyle’s hellish life in the future so we fully understand that Arnold is a robotic killing machine. Without this understanding, we wouldn’t root for Kyle as much. However, when we know he’s telling the truth without a doubt, then it’s easy to root for our hero. A second reason why flashbacks work with “The Terminator” is because early in the movie, we see Kyle tossing a hand grenade into the treads of a killing machine, blowing it up. This foreshadows the scene where Kyle shoves a pipe bomb into the Terminator’s gut and cuts it in half at the end. Without this flashback showing us Kyle knowing how to handle explosives, we wouldn’t believe he could shove a pipe bomb into the Terminator at the end. Just like in “Casablanca,” the flashback in “The Terminator” lets us experience an emotion so we’ll root for the hero because we know what the hero has gone through, plus we understand how the hero can succeed at the end. So if you want to use a flashback effectively, make sure your flashbacks allow the audience to experience an emotion that drives the hero, which can’t be explained to the audience any other way. Second, make sure your flashback sets up the future payoff of your story. “The Terminator” used a flashback to show us Kyle being handy with explosives. “Casablanca”’s flashback showed us Humphrey Bogart leaving without Ingrid Bergman and feeling betrayed. At the end of “Casablanca” we’re left wondering if Humphrey Bogart will leave once more empty-handed or not. Allow us to feel emotions and set up the end of your story, those are two valid uses for a flashback. If you can avoid a flashback and tell your story by staying in the present, try that technique instead since flashbacks jolt us out of the story and put us in another story. But if you must use flashbacks, at least use them wisely, make them reveal an emotion that we couldn’t experience otherwise, and set us up for the payoff later in your story.